Dr. J. Stephen Gunn combines a high level of surgical expertise with a desire to improve the quality of lives. Dr. Gunn is committed to delivering natural-looking results that can enhance your life and let your confidence soar. Dr. Gunn is board-certified by the American Board of Plastic Surgery and a member of the American Society of Plastic Surgeons. 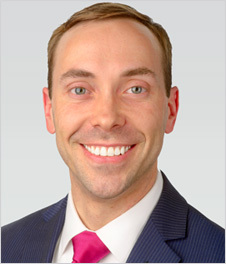 Dr. Stephen Gunn is a native of Decatur, Alabama who has extensive training in general and plastic surgery. Dr. Gunn has a sincere passion for using the latest techniques in cosmetic surgery to bring out your natural beauty with a full spectrum of surgical and nonsurgical procedures. He believes that helping you in your quest for aesthetic improvement means working together for a more beautiful you. A highly trained, board certified plastic surgeon in Birmingham, Alabama, Dr. Gunn uses skill and precision to perform cosmetic surgical procedures for improving the contours of your body, enhancing the size and shape of your breasts, and rejuvenating your face with a more refreshed, youthful look. With today's rapid advancements in minimally-invasive aesthetic technology, Dr. Gunn can help you achieve beautiful results with botox, dermal fillers and other nonsurgical treatments. "Dr. Gunn was fantastic in every aspect from the pre operative consultation to post op/recovery. I was very pleased with his willingness to answer all of my questions & help to direct me with his professional opinion when I was struggling to decide on a new implant size/profile." Dr. Gunn works closely with each patient to formulate a surgical plan personalized to complement your goals and your lifestyle. If you are looking for a compassionate surgeon backed by the caring and attentive medical staff of Hedden & Gunn Plastic Surgery, schedule your free cosmetic surgery consultation with Dr. Stephen Gunn today to learn more about the many available options for fulfilling your aesthetic surgery needs. A graduate of Auburn University, where he majored in Zoology, Dr. Gunn earned his medical degree (M.D.) from the University of South Alabama College of Medicine in Mobile, Alabama, where he met his wife Holly. Dr. Gunn went on to complete a general surgery residency at Penn State University's Hershey Medical Center in Hershey, Pennsylvania. His exceptional level of surgical training culminated in a 3-year plastic surgery fellowship at the University of Louisville. Board-certified plastic surgeon J. Stephen Gunn, M.D. is a member of a number of prestigious professional organizations, including the American Society of Plastic Surgeons, the American Society for Aesthetic Plastic Surgery and the American College of Surgeons. Dr. Gunn has presented at numerous regional and national meetings, including the Robert H. Ivy Plastic Surgery Society, the Kentucky Society of Plastic Surgeons and the Plastic Surgery Research Council. In addition to academic and teaching awards, he was inducted by his peers into the Arnold P. Gold Humanism Honor Society, which recognizes physicians who are exemplars of compassionate patient care and who serve as role models, mentors and leaders in medicine. "The first step in helping my patients see a more beautiful appearance is getting to know them as people. Together we can become partners in their well-being by building a relationship based on the highest level of personal care and superior cosmetic surgery results." American Board of Plastic Surgery — J. Stephen Gunn, M.D. 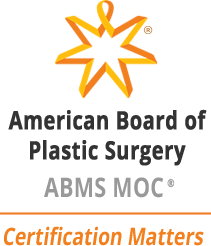 is board-certified by the American Board of Plastic Surgery (ABPS), one of 24 medical specialty boards of the American Board of Medical Specialties (ABMS). Dr. Gunn is also certified by the American Board of Surgery (ABS). American Society of Plastic Surgeons — Dr. Gunn is an active member of the American Society of Plastic Surgeons (ASPS), the world's largest plastic surgery specialty organization. American Society for Aesthetic Plastic Surgery — Dr. Gunn is a candidate for membership with the American Society for Aesthetic Plastic Surgery (ASAPS), the society solely dedicated to aesthetic procedures. American College of Surgeons — Dr. Gunn is a resident member of the American College of Surgeons (FACS), which sets high standards for surgical education and practice. American Association for Accreditation of Ambulatory Surgery Facilities — Dr. Gunn performs most procedures at our Outpatient Surgery Suite, which is fully AAAASF accredited for patient safety. Contact Alabama plastic surgeon Stephen Gunn, M.D. in Birmingham today with your questions about any of our procedures or to schedule your consultation.